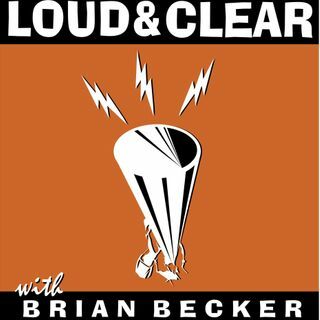 On today's episode of Loud & Clear, Walter Smolarek and John Kiriakou are joined by Brian Becker, who is in Hanoi covering the US-North Korean summit, and Christine Ahn, a co-founder of the Korea Policy Institute and the International Coordinator of Women Cross DMZ. President Trump and North Korean Leader Kim Jong Un held a joint press conference today during which Trump said that he foresees a North Korea that is an economic powerhouse in East Asia. He added that he expects to make ... See More progress this week on outstanding issues between the two countries and repeated that he has an excellent personal relationship with Kim. Former attorney for President Trump Michael Cohen testified in open session before the House Oversight Committee today. He submitted documents to the committee including copies of hush money checks that Trump wrote to him, financial documents, and emails. Ted Rall, an award-winning editorial cartoonist and columnist, whose work is at www.rall.com, joins the show. A series of airstrikes have dramatically escalated the conflict between India and Pakistan. Are we headed toward another war in South Asia? Brian and John speak with Dr. Marvin Weinbaum, Scholar-in-Residence and director of the Middle East Institute’s Center for Pakistan and Afghanistan Studies. Venezuela’s self-declared president Juan Guaido said today that he will begin exercising his “presidential duties” as soon as he returns to Venezuela from Colombia, where he met with Vice President Pence and Colombian President Ivan Duque. Meanwhile, the diplomatic tide appears to be turning in favor of President Maduro as several countries vigorously opposed foreign intervention at the UN Security Council and a major pro-government international civil society conference is held in Caracas. Anya Parampil, a Washington-based journalist for The Grayzone Project, joins the show. Wednesday’s weekly series, In the News, is where the hosts look at the most important ongoing developments of the week and put them into perspective. Today the hosts focus on the Congressional vote of disapproval of the national emergency, the US-Korean summit going on now in Vietnam, and the ongoing debate about letting U.S. citizen Hoda Muthana back in the country after leaving ISIS. Jacqueline Luqman, the co-editor-in-chief of Luqman Nation, which hosts a livestream every Thursday night at 9:00 p.m. on Facebook, joins the show. Wednesday’s regular segment, Beyond Nuclear, is about nuclear issues, including weapons, energy, waste, and the future of nuclear technology in the United States. Today the hosts talk about Diablo Canyon, where nuclear reactors are scheduled to shut down; the massive proposed Holtec New Mexico radioactive waste dump; and the nuclear weapon state conflicts of India v. Pakistan and US v. Russia. Kevin Kamps, the Radioactive Waste Watchdog at the organization Beyond Nuclear, and Sputnik news analyst and producer Nicole Roussell, join the show.